I bumped into an old friend the other day. She and I used to work together. Our paths would often cross as we headed in and out of the office. Most of our work was done in the field so we weren’t able to see one another on a regular basis. Whenever we had the opportunity to stop and catch up for a bit, she would always share her latest recipe find. The recipes that she enjoyed most, were those that were simple, healthy, and inexpensive. Well, I have since moved up in rank and our paths really don’t cross any longer. But to my delight, she sent an email the other day, with an invitation to lunch. I was thrilled to hear from her so we met for a quick bite to eat at a local restaurant. The minutes passed as we shared stories of kids, husbands, work, and the daily grind. It was so great to see her. Without fail, she slipped me a piece of paper as we parted ways. On it was printed her latest recipe find. She calls it Peanut Butter Granola but after making it this morning, I’m calling it Rita’s Oat and Raisin Breakfast Cereal. 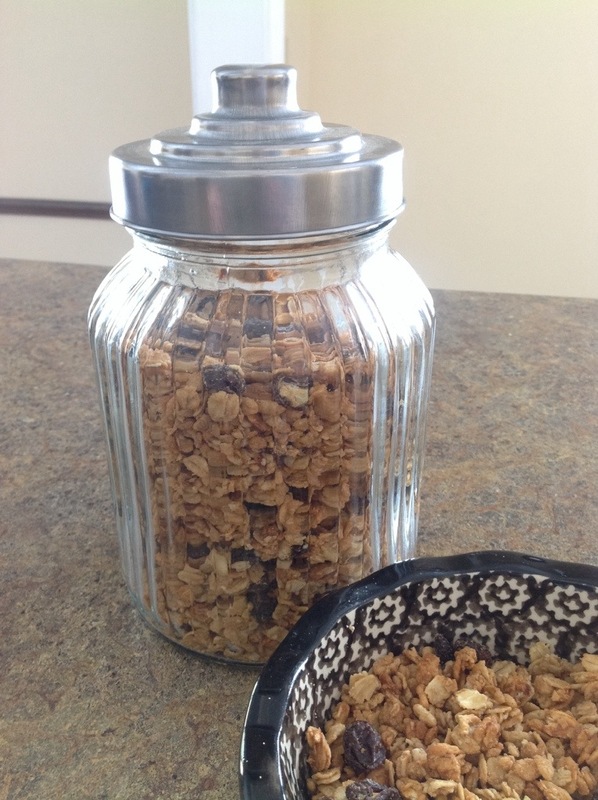 The texture is softer and less crunchy as compared to a traditional granola. My daughter, M ate it as a breakfast cereal this morning and raved about the texture and taste. I hope you enjoy it…Thanks, Rita! 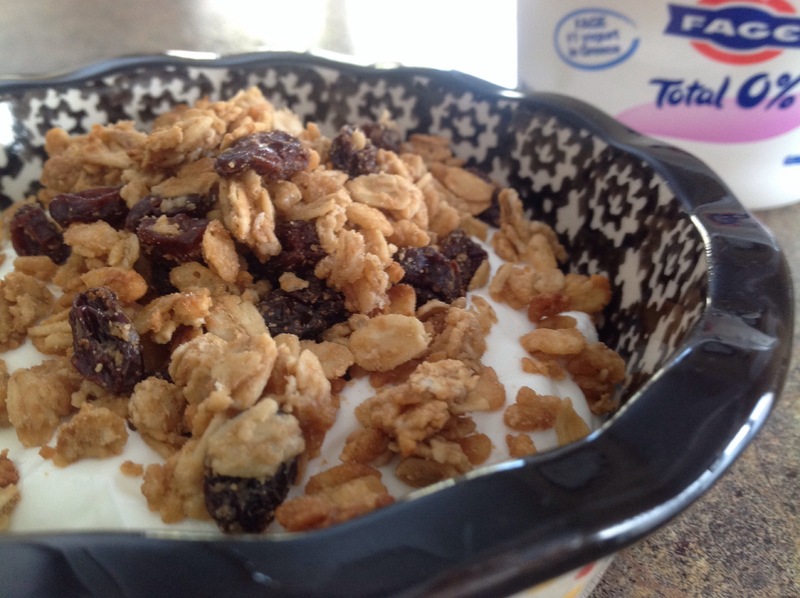 Stir together in a mixing bowl, whole oats, rice cereal, and raisins. In a saucepan, bring to a boil the apple juice and brown sugar. Remove from the stove and suit in vanilla and peanut butter. When peanut butter has dissolved, pour over cereal mixture in the bowl and stir until thoroughly combined. Pour mixture onto a jelly roll pan and bake at 300 degrees for 10 minutes. Cool completely and store in an air-tight container. Quick and inexpensive, Greg! Thanks for the comment. Enjoy your day! I haven’t tried it yet, Joanna, but my daughter M said the same thing…Mmmmm! She really enjoyed Rita’s breakfast cereal this morning! Thank you for this recipe. I am going to try it. Let me know how it works out for you! Thanks for stopping by!